COCOMELODY DRESSES | RAWR BOWS. Weddings are great, everyone loves them. Everyone gathers together in a nice venue with flowers and ribbons, dressed up in beautiful outfits to celebrate the love of two people. However, they can also be very stressful, especially if you’re the bride or the bridesmaid. All eyes will be on you and you have to look fabulous or you’ll regret it every time you see a picture (which will probably be more often than not). Looking ready to slay can be very expensive - it is well known that wedding dresses are VERY expensive. This is what Cocomelody* is great. They offer a wide variety of designer wedding dresses and bridesmaid dresses for a very affordable price, so that you and your bridesmaids can look like royalty without doing too much damage to your credit card! You can tailor all of their dresses so that they fit perfectly and you all look spectacular on the big day. Using the following discounts, you can also get free shipping and discount on bridesmaid dresses - and no one can say no to free shipping and discounts, am I right ladies? If you’re looking for a real unbelievable deal, you should check their sale section where they have weekly deals and a clearance section. You can find real gems there! 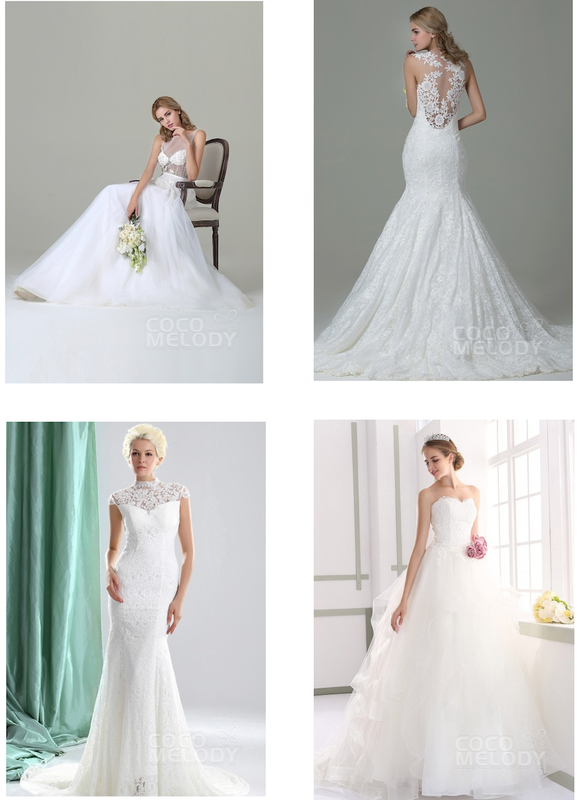 Have you ever bought any dress from Cocomelody? What's you dream wedding dress?